It is with this spirit that millions of Hindus celebrate the festival of Diwali every year. 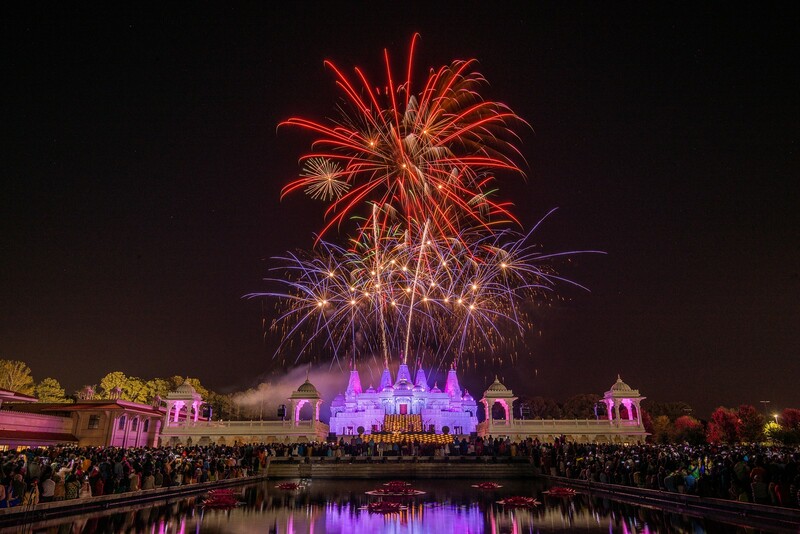 This Diwali welcomed several thousand visitors to the BAPS Shri Swaminarayan Mandir in Lilburn, Georgiafrom October 23rd to 24th, 2014, to mark the festivities of the holiday. 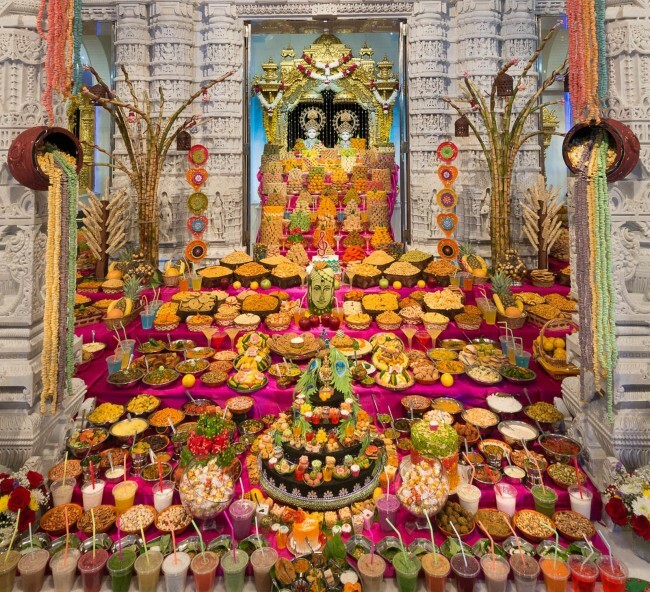 Volunteers helped with the grand Annakut on New Year’s Day, October 23rd, to offer the first harvest to the murtis of God. This conveyed a sentiment of gratitude towards God because He is the giver of all fruits. 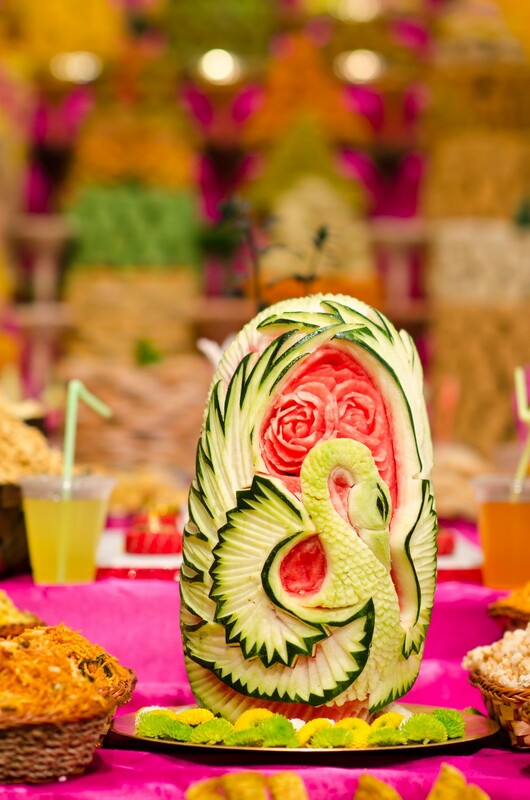 Throughout the day, people observed the Annakut in admiration as they conversed about their favorite dish. 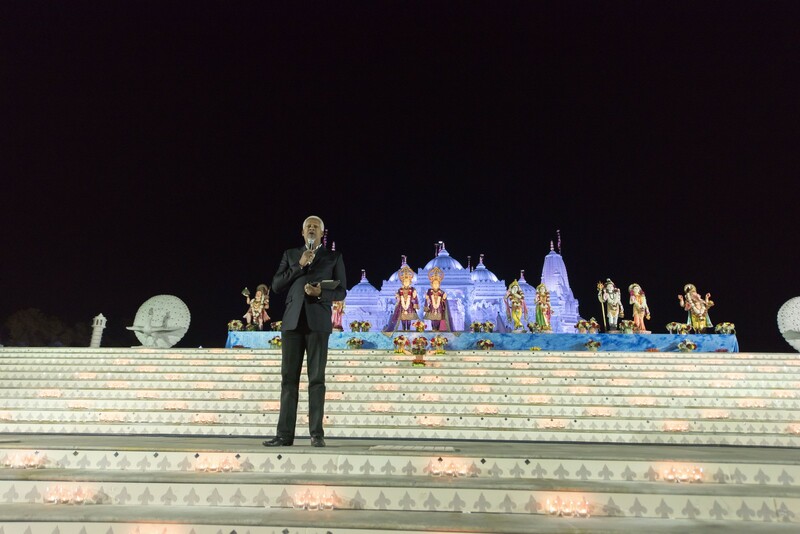 On Saturday, October 24th, 2014 the annual Kid’s Diwali Program was held. Children enjoyed beautiful decorations and carnival rides. This was followed by the Chopda Pujan as well as spiritual discourses by Swamis reiterating the stories and messages from decades ago of the Ramayan into current day familial scenarios. The amazing fireworks inspired responses of awe, while the brightness filled the dark sky symbolizing the prevalence of good over evil. Atlanta City Councilman, the honorable Kwanza Hall shared, “I have never seen such an atmosphere filled with love and excitement.” Additionally, Congressman Hank Johnson was also in attendance. In an age where traditions and morals are challenging to maintain, His Holiness Pramukh Swami Maharaj invests time to build the roots of ancient rituals for generations. On the surface, Diwali is the most colorful holiday with fireworks, rangolis, beautiful decorations, variety of mithais, fancy flowers and lit divas. However, the true essence of Diwali is an internal journey of dispelling darkness in the forms of ego, anger, jealously, greed, and envy and invoking the light to bring in positive virtues of patience, contentment, compassion and inner-stability. 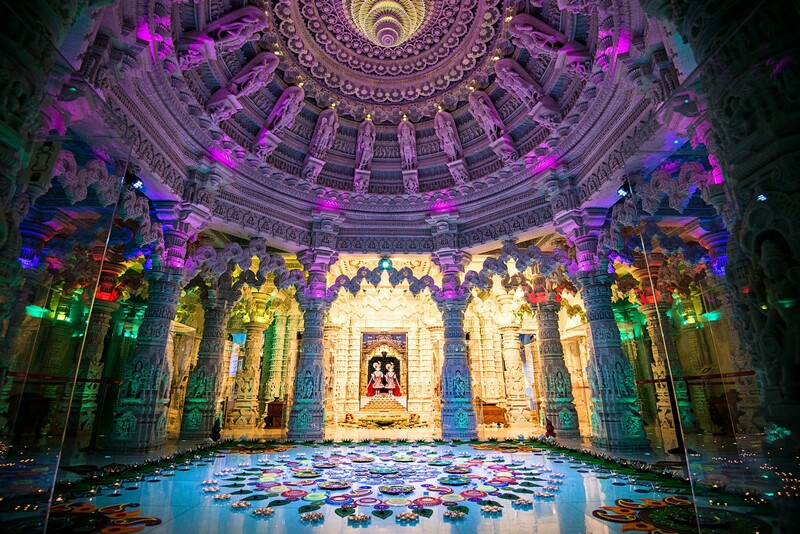 Pramukh Swami Maharaj is a living example of positive virtues that we can strive towards with sincere efforts. Through introspection at this auspicious time, we can overcome our negative virtues and bring out the light from within.